We review chimera patterns, which consist of coexisting spatial domains of coherent (synchronized) and incoherent (desynchronized) dynamics in networks of identical oscillators. We focus on chimera states involving amplitude as well as phase dynamics, complex topologies like small-world or hierarchical (fractal), noise, and delay. We show that a plethora of novel chimera patterns arise if one goes beyond the Kuramoto phase oscillator model. For the FitzHugh-Nagumo system, the Van der Pol oscillator, and the Stuart-Landau oscillator with symmetry-breaking coupling various multi-chimera patterns including amplitude chimeras and chimera death occur. 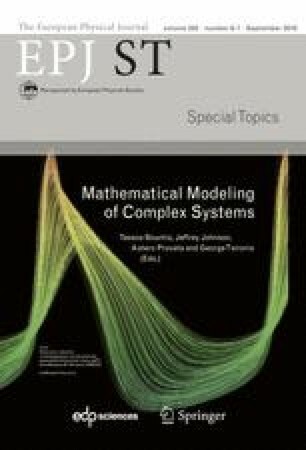 To test the robustness of chimera patterns with respect to changes in the structure of the network, regular rings with coupling range R, small-world, and fractal topologies are studied. We also address the robustness of amplitude chimera states in the presence of noise. If delay is added, the lifetime of transient chimeras can be drastically increased.